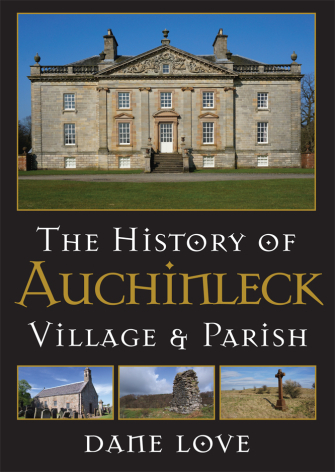 The parish of Auchinleck has a long and very interesting history, detailed in this book from prehistoric times to the present. In addition to the village of Auchinleck itself, the parish also extends eastwards to include the former mining communities of Lugar and Cronberry. Here one will find accounts of the Auchinlecks of that Ilk and their feuds in the fifteenth century, of the arrival of the Boswells at the start of the sixteenth century and of a number of other smaller landowners. James Boswell, Lord Auchinleck and Sir Alexander Boswell all made their name in the eighteenth and early nineteenth century, and are still known for their literary associations. The first edition of this book was published in 1991. Now, almost 25 years later, is this much expanded and updated edition. As well as an additional chapter on the twenty-first century, there are two new appendices on the farms of the parish and their occupants, as well as a list of mines and their locations. Residents of Auchinleck and Lugar, and exiles of the district, will find this book an indispensable guide to their parish.